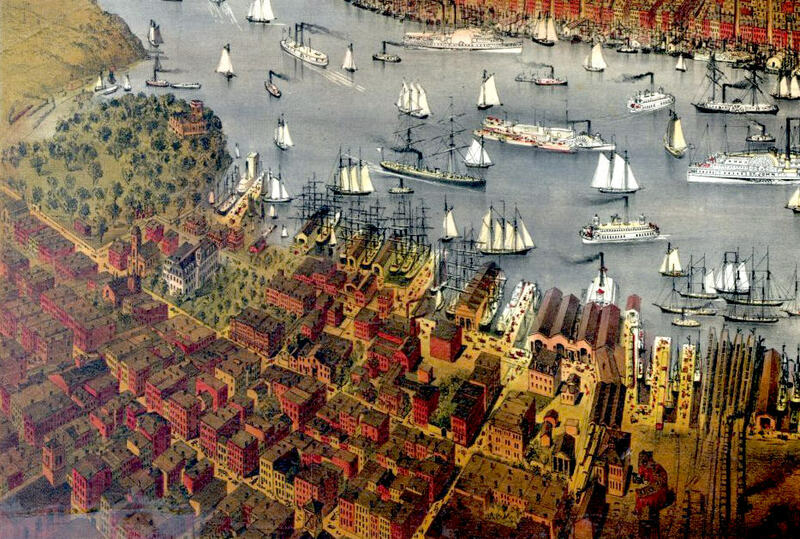 In the early 19th century, Colonel John Stevens developed the Hoboken waterfront as a resort for Manhattanites. 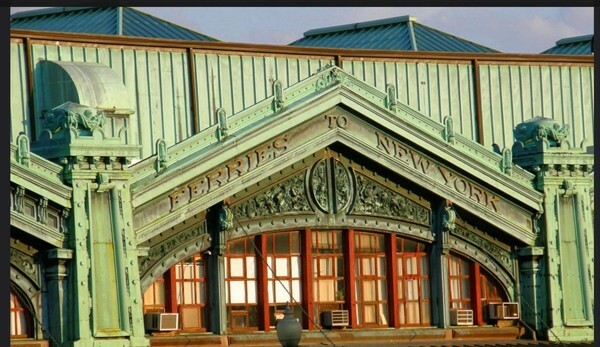 On October 11, 1811, Stevens’ ship the Juliana, began to operate as a ferry between Manhattan and Hoboken, making it the world’s first commercial steam ferry. In 1825, he designed and built a steam locomotive capable of hauling several passenger cars at his estate. Sybil’s Cave, a cave with a natural spring, was opened in 1832 and visitors came to pay a penny for a glass of water from the cave which was said to have medicinal powers. In 1841, the cave became a legend, when Edgar Allan Poe wrote “The Mystery of Marie Roget” about an event that took place there. 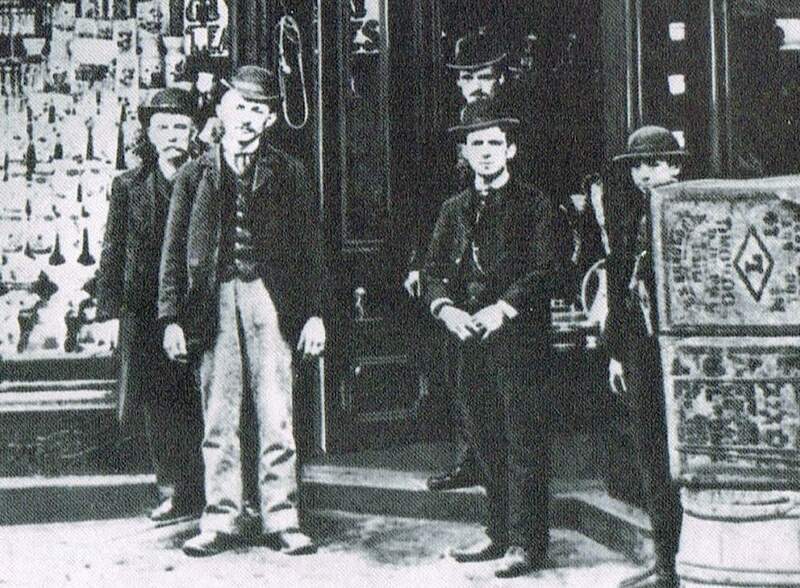 The cave was closed in the late 1880s after the water was found to be contaminated. 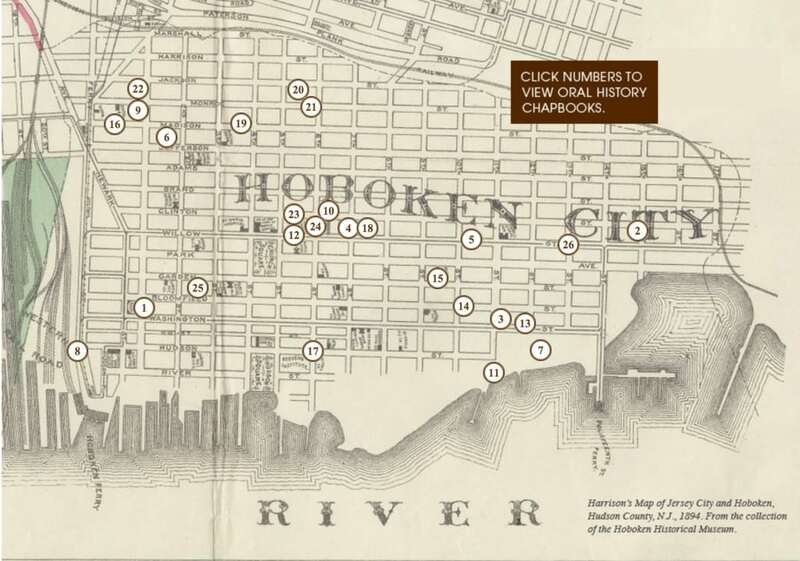 HOBOKEN, a city of Hudson co., New Jersey, on the Hudson river, opposite New York, with which it is connected by two steam ferries, and at the terminus of the Morris and Essex division of the Delaware, Lackawanna, and Western railroad; pop. in 1850, 2,668; in 1860, 9,662; in 1870, 20,297, of whom 10,334 were foreigners. 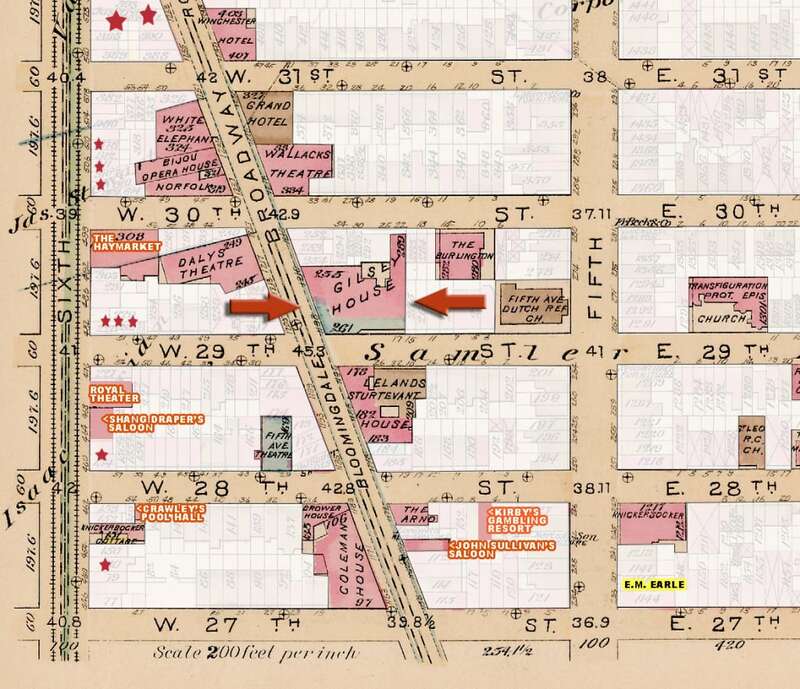 It joins Jersey City on the south, with which and with the adjoining places it is connected by horse cars, and extends about 1¾ m. N. and S., and 1 m. E. and W.
It is regularly laid out, a portion of the streets running nearly parallel with the river, and the others crossing them at right angles, and is for the most part compactly built. There are three public squares, viz. : Hudson square, near the river; the “Public” square, near the centre of the city; and a smaller one in the S. part. The river frontage is only about ½ m., the N. portion of the city being separated from the Hudson by a narrow strip of land which was set off to Weehawken in 1859. 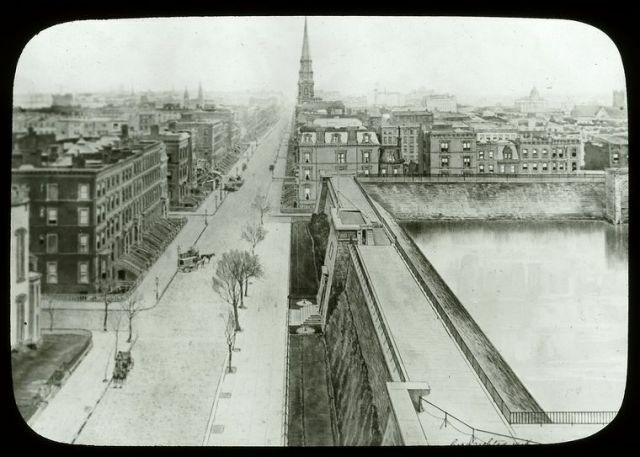 At the S. end of this strip is Castle point, commanding a fine view of the river and New York harbor, and containing the Stevens mansion and grounds; and N. of the point are the “Elysian Fields,” formerly a favorite place of resort for New Yorkers, but now mostly sold for business purposes. 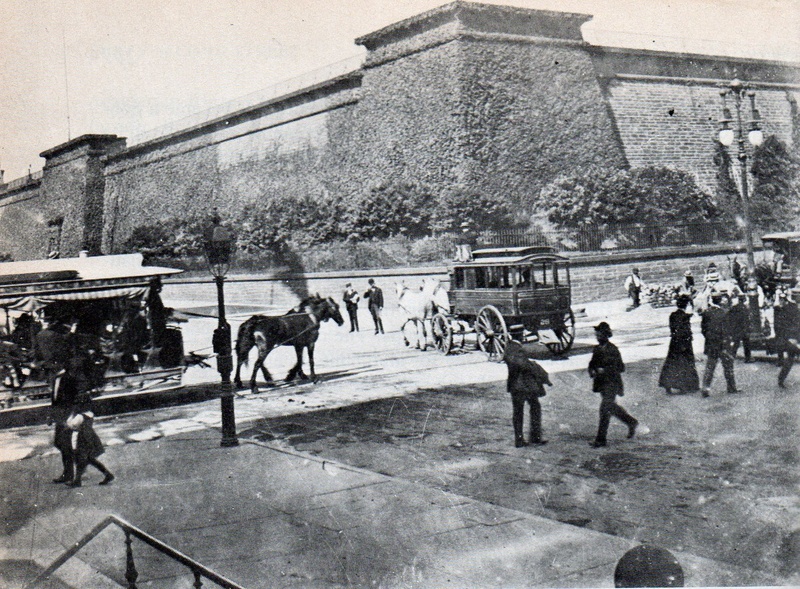 From just below the point to a short distance above a walk has been constructed along the margin of the Hudson, which forms a magnificent promenade. The river front is lined with wharves, and here are two United States bonded warehouses, and the termini of four lines of steamers to Europe, viz. : to Bremen, to Hamburg (two), and to Stettin. Hoboken is divided into four wards, and is governed by a mayor and a common council of 12 members. 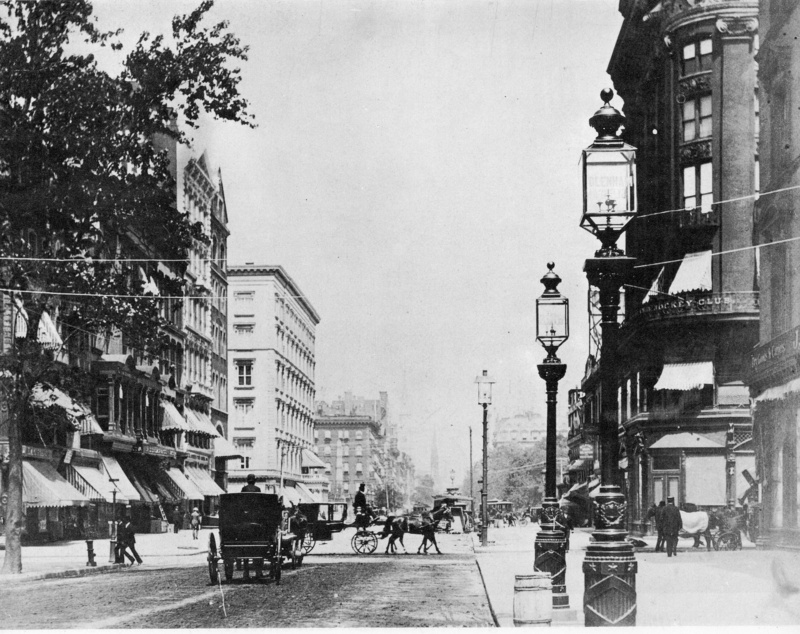 The streets are paved and lighted with gas. Water is supplied from the Passaic river by the Jersey City water works, but it is proposed to erect separate works and supply the city from the Hackensack. 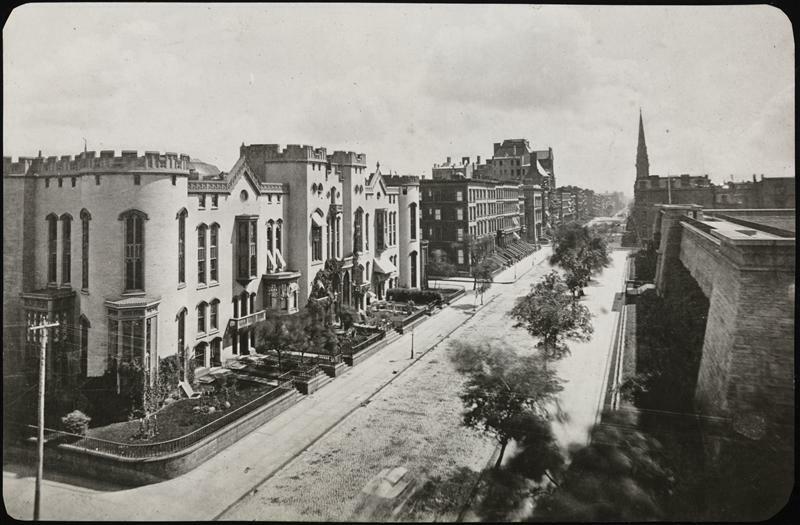 The principal charitable institutions of Hoboken are St. Mary’s hospital (Roman Catholic) and the widows’ home. There are three large brick public school houses. The schools comprise primary and grammar grades, and in 1874 had 27 teachers and about 3,000 pupils. Evening schools are opened in the winter. There are also an academy, a female seminary, a Catholic school, four weekly newspapers (two German), and 11 churches. — Hoboken was settled by the Dutch in the early part of the 17th century, and named from a village on the Scheldt a few miles S. of Antwerp. It became a city in 1855. 1864 – September 20: The parish of “The Church of Our Lady of Grace” was incorporated under the laws of the State of New Jersey.The first Catholic school, the current Kelly Hall, opened. The Sisters of Charity conducted the education of the children. 1866 – The Sisters of Charity start to build a hospital and asylum. St. Mary Hospital was blessed on May 6, 1866. 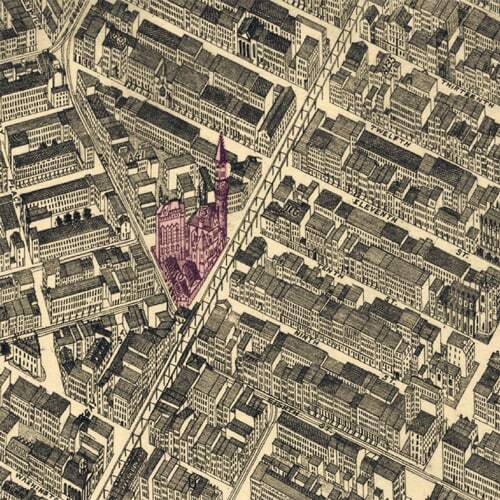 1874 – May 18: Work commenced on the building of the present Church located on the corner of 4th and Willow.